With a crowded market and millions of pounds in sales at stake, car manufacturers set aside vast budgets to make sure their adverts jump out of the TV set. It doesn’t always work, but when it does the results are spectacular. 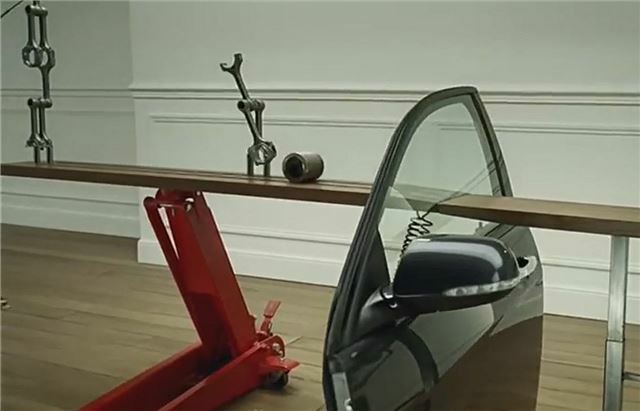 Here are ten of the best car TV adverts ever, as chosen by us. Obviously there are many more, so let us know your favourites if you don’t see them here. The Cog remains impressive because it was achieved with very little CGI trickery, with director Antoine Bardou-Jacquet insisting on months of pre-production testing to make this automotive game of Mouse Trap as authentic as possible. It cost £1m and was first broadcast during the Brazilian GP in 2003, but was only shown in full ten times because, at 120 seconds long, it cost a fortune to air at peak times. My favourite is the Land-Rover being winched up the dam! The Porsche 911 Carrera ad - from the US, with the schoolboy going from school on his bike to showroom - brilliant!